I am not a big Block of the Month-er….it’s too much pressure for me. I feel compelled to stay on schedule, can’t let it those packages sit….but I could not resist when I saw the Pennies from Heaven BOM, partly because I don’t (or didn’t) have alot of wool to do such a project, so this one called my name (and some other people I know, wink, wink). So there you go…..I am a BOM’er. 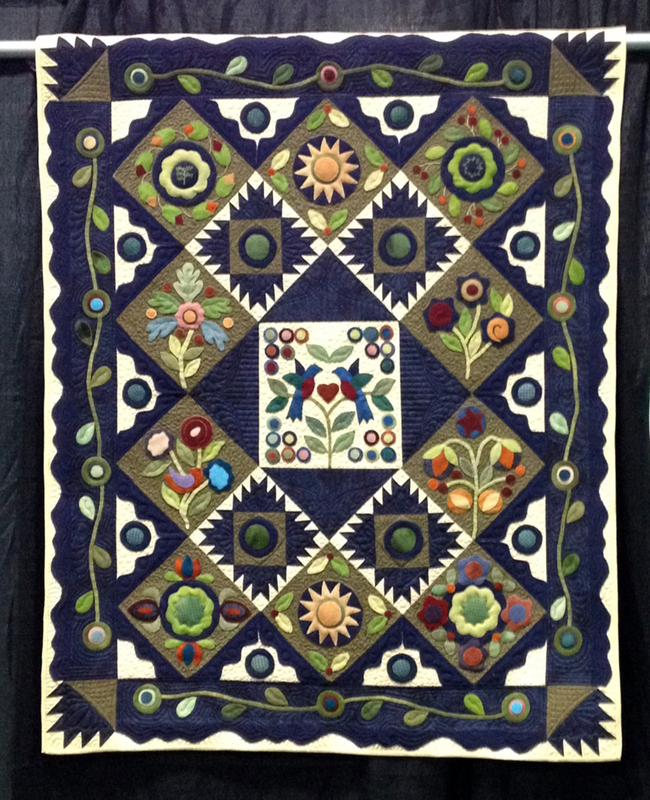 the quilting was done by the wonderful Bethanne Nemesh …..here look at her details…. 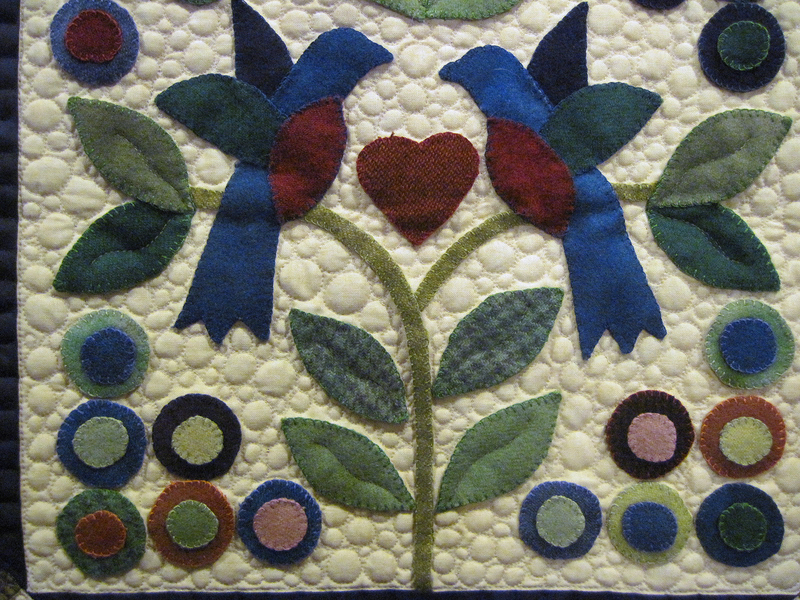 ooo, I’m happy, happy, happy with this quilt! 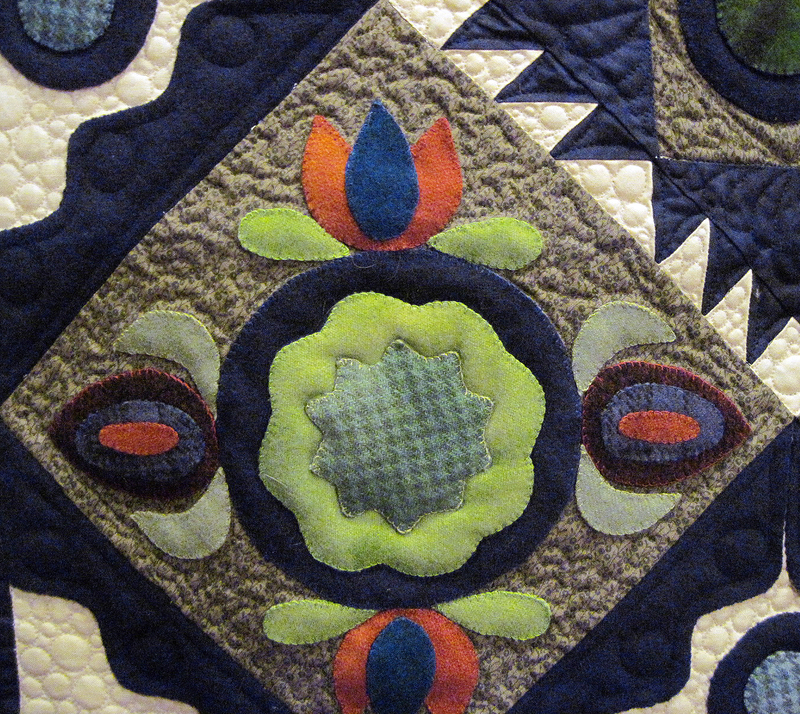 for now, I have plenty of other projects to work on, unless Sister Mary Made Me Buy it finds another BOM I need to do! It is beautiful! I have that book, but haven’t made any blocks yet. just saw this post Megan…looks wonderful hanging!